Are you looking for an amazing career opportunity? Then check out our hiring event on Tuesday October 9th at our Goodwill Store & Donation Center at 520 S. Schmale Road in Carol Stream from 12 p.m. to 4 p.m. We're looking to fill immediate team member positions. Did you find some AMAZING fall décor at Goodwill? Then show it off by uploading your photos between September 10 - 30 for a chance to win one of 6 Kindle Fire Tablets and $25 Goodwill gift cards! Plus, one lucky GRAND PRIZE winner will receive a Samsung 49-inch 4K Ultra HD Smart TV plus a $50 Goodwill gift card! Are you looking for an amazing career opportunity? 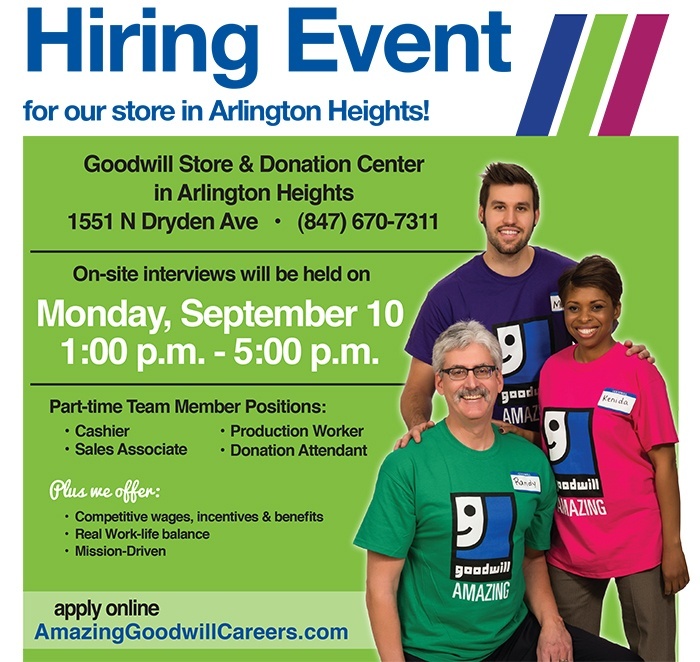 Then check out our hiring event on Monday, September 10 at our Goodwill Store & Donation Center at 1551 N Dryden Avenue in Arlington Heights from 1 p.m. to 5 p.m.
Saturday, September 15 from noon – 2 p.m.
Come meet Tingle, one of 97.1 The Drive’s dynamic morning duo, and register for your chance to win a pair of tickets to the Friday, September 21 Shake the Lake cruise on the Spirit of Chicago! 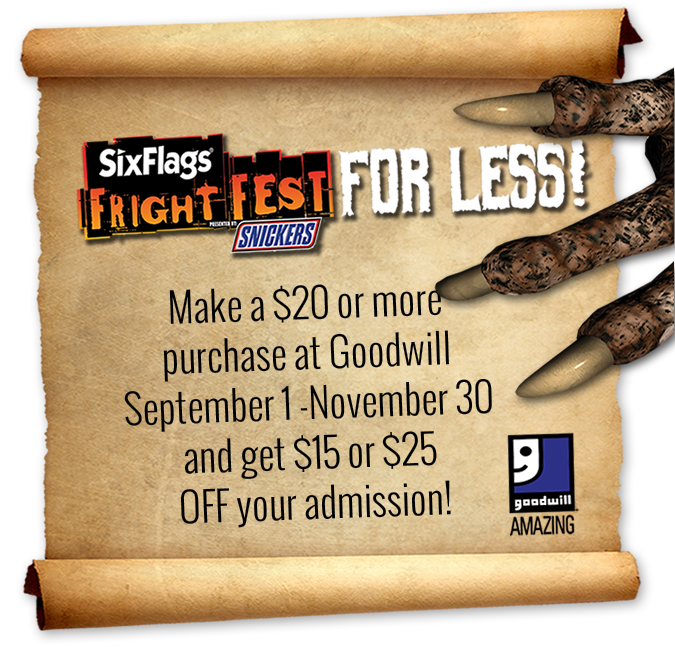 Make a purchase of $20 or more from September 1st through November 11th at any Goodwill Store & Donation Center and get $15 or $25 off the purchase of a regular admission ticket to Fright Fest at Six Flags Great America!